Could the Monzo app be the best place for your savings? Monzo, the popular mobile app bank, is launching a new range of savings accounts paying as much as 1.55% AER. The bank is partnering OakNorth, a fin-tech savings company, to offer six new savings accounts to its 1.6m customers. This is not the first time Monzo has offered a savings account, but the rates on offer are significantly higher on its new accounts. There will be four savings accounts and two cash Isas, offering rates up to 1.55% interest, or 1.53% AER. But how do the accounts work, and are they any better than other savings accounts? Which? has looked into what’s on offer. What Monzo savings accounts will be available? Each account requires a minimum initial deposit of £500. You can save up to £500,000 across all of your savings pots, and – like all cash Isas – you can only deposit up to £20,000 into the Monzo cash Isa in each tax year, in accordance with the cash Isa allowance rules. The cash Isas are also flexible, so if you make withdrawals and re-deposit the money, it won’t add to your overall allowance. The instant-access cash Isa will be available from Monday 25 March, and the other accounts will open in the upcoming weeks. It’s worth bearing in mind that, while some will consider some interest to be better than nothing, none of these rates can equal or beat the current rate of inflation – this measured 1.9% in February. This means that your savings will still be losing money in real terms; as prices rise, your money won’t be able to buy as much. How do the new Monzo savings accounts work? Currently, Monzo customers can save money into various ‘savings pots’ – here, money can be accessed instantly, but the cash being saved doesn’t earn any interest. The new savings accounts will essentially give Monzo customers access to OakNorth’s savings platform, but you’ll be able to open and manage the accounts through the Monzo app. 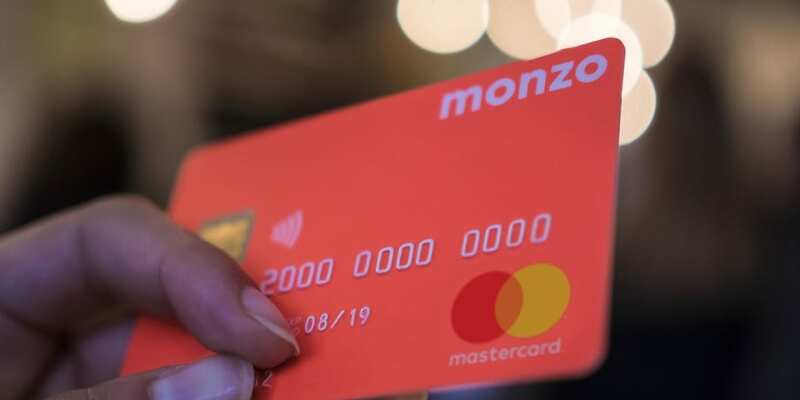 Monzo says it will receive a small revenue from the savings accounts, and plans to partner with other savings providers in the future. What happens to Monzo’s existing savings accounts? In November 2018, Monzo launched a savings partnership with Investec, offering 1% on an easy-access savings account with a minimum £1,000 deposit. In February 2019, this was closed to new customers. Existing savers can keep their Investec pot, but new savers can access the latest range of savings deals. Should I get a Monzo savings account? The table below shows the top-rate accounts across the same terms offered by the new Monzo and OakNorth products. *Expected Profit Rate. Source: Which? Money Compare, Moneyfacts. Correct 21 March 2019. As the table shows, none of the Monzo and OakNorth accounts are market-leading – and, in fact, OakNorth’s own products offer higher interest rates than the ones through Monzo. So, if your main aim is to find an account where your savings can earn as much as possible, Monzo may not be the best option for you. However, several of the top-rate accounts require higher minimum initial deposits than Monzo’s products – so, if you have a relatively small savings pot, saving £500 may be far more realistic than, say, £1,000. You should also take into account any tricky caveats; Yorkshire Building Society’s instant-access cash Isa, for instance, only permits one withdrawal per year. This may not be suitable if you’re likely to need to access your cash regularly. You can search through hundreds of savings accounts and cash Isas with Which? Money Compare. Editor’s note: This story was updated to clarify that the top AER on offer is 1.53%, and interest at 1.55%.